When you start selling on Amazon, you need a professional Amazon product page design that immediately attracts customers and compels them to seriously consider buying your product. 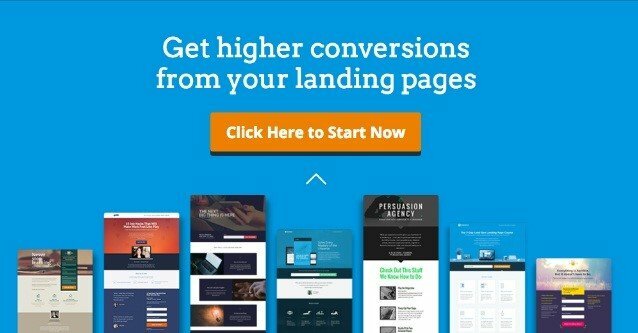 There’s no hard and fast formula for creating a winning Amazon landing page that actually helps you to get sales conversions. However, there are certain elements you need to get right to leave a lasting impression on visitors. Keep below points in mind while designing a landing page for amazon products. What is Amazon Landing Page? First thing first, you should have a clear understanding of an Amazon landing page and its purpose. In digital marketing, a landing page is designed to convince potential customers to share their email and/or other information in exchange for a valuable offer. Amazon landing page typically offers discount coupons for Amazon products in exchange for the basic information of the customers. Once you start getting contacts and build your list then you can always use it to market your other offers of the similar products. While it’s important to include keywords in the title of your product page, never try to cram your title with them. Use an Amazon keyword research tool to figure out which your most significant keywords are and blend them in with the title content. The keyword should not feel out of place but must help the rest of the content inform customers what the product is about. Amazon landing page needs to have a clear and distinct call-to-action. The CTA must be distinct – don’t bring it down with a million other requests. Use visual cues to draw your eye towards a distinctive looking button with the CTA on it. If there are other CTAs on the page, de-emphasize them to ensure the main attraction is your ultimate CTA. This is basically when you give something to your visitors/customers in exchange for purchasing you Amazon product. While this can contain traditional discounts, you can also offer free samples, free eBooks/whitepapers or any other gift. Try to include a deadline with the offer so a sense of urgency is created and customers feel compelled to purchase. Take the “offering” approach instead of the “demanding” one – don’t ask customers for any information in exchange for getting the offer on Amazon. All of the content on the product page must address the needs of your customers by answering any questions they may have about your product. The title of your product is the first thing to reach them and must be relevant enough to prompt a click. The supporting content – descriptions and details, etc. – must answer the customers’ curiosity by answering any further questions they may have about your product. The biggest mistake people make when designing landing page for Amazon products is including too much unnecessary information. No, customers don’t need to know about your company’s philosophy or previous endeavors. Also, they will hesitate to fill in extremely long forms. Strip your landing page of extraneous links, pictures, information and data that doesn’t serve a direct purpose. Move admin links to a footer that might not be as visually appealing, if you have to include these links. You should use bullets to shift customers’ focus towards the best parts of your product. Bullet points make easy-reading since they are simpler to skim through. They will tell customers if your product has what they are looking for. This technique basically works like a checklist, with the customers ticking off all the features that they want against the ones you’re offering. Your Amazon landing page should be tailor-made for your target audiences on Amazon. Use Amazon product research tool, AMZ Insight to find out in which Amazon Marketplace your product might be more popular. List your product on that Amazon website and target that country’s audiences. The more the choices you give to the visitors, the less likely they are to come to a decision. If you give a lot of links, people are likely to wander off the landing page to some other website and might even forget about your product. It’s important for you to immediately grasp your Amazon audience’s attention before they decide the page is boring and leave. People will decide within a second if they want to remain on your page. So if you’ve gotten an interested buyer, the headline must convince them to read on. The headline must include a benefit to consumers about the product in a catchy way. The description of your product must tell customers what they will experience when they use the product. Describe what you have in store for your clients and make it so good that they’re charmed into buying from you. Important information about the company, remaining details about the product and anything else you want the clients to know must be included here. The biggest mistake I’ve seen with newbie designers of landing page for Amazon products is how they try to clutter the page with all kind of information. Keep it simple and leave out a lot of white space so your CTA is highlighted. Use images with a minimalist design. Use big font with more spaces between letters to make reading easier. Bullets will encourage readers to skim through the content, instead of leaving the page altogether. Videos can create a whole lot of impact, improving conversions by 80%, according to Unbounce.com. Run searches for your own products on amazon from time-to-time. If you aren’t able to find your own product, no else will! The trick is to type in the exact same words the buyers would. These would most probably already be your keywords but if you’re in the right mindset, you might discover newer phrases to target. If you do, it doesn’t take long to update your product listings in your Amazon catalog. When you are working on your product listing, you must remember to mention all the relevant keywords that you find using a reliable Amazon keyword tool. These are the words that will bring you customers to your product page. Again, the keywords must blend in with the rest of your content. Dumping keywords into everything will not bring you more sales. That’s not all, make sure you get the customer opt-in and also follow up with a series of email with the coupon code and directions to use. You should send them email reminder if the customer did not purchase in a certain time period. If you’re planning to build a landing page for Amazon products then make sure it fulfills the purpose of generating more sales by implementing all above points. Amazon landing page can also help you build your brand off the Amazon. Since you have already built your list then its easier to market your standalone ecommerce store to those loyal customers who have already bought your items.